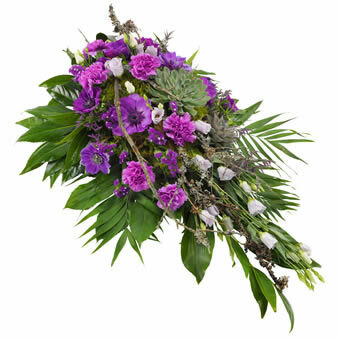 Show your compassion and sympathy with this elegant funeral spray in purple colours. It will typically contain flowers like dianthus, eustoma, anemone, limonium and decorative greenery. 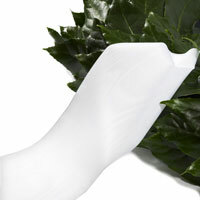 This white coloured ribbon carries your last farewell and gives your funeral flowers the personal note. We will print your words individually. To do so we require to have your order one day at least in advance. 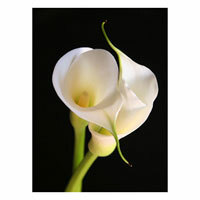 Add a special funeral card to your flowers and our local florist will deliver your funeral bouquet or arrangement with a special message card that fits the product. 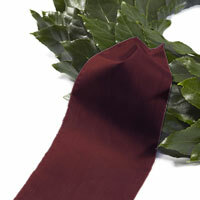 This bordeaux red coloured ribbon carries your last farewell and gives your funeral flowers the personal note. We will print your words individually. To do so we require to have your order one day at least in advance. 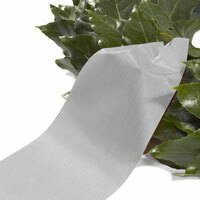 This light grey coloured ribbon carries your last farewell and gives your funeral flowers the personal note. We will print your words individually. To do so we require to have your order one day at least in advance. 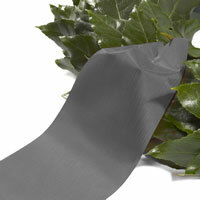 This grey coloured ribbon carries your last farewell and gives your funeral flowers the personal note. We will print your words individually. To do so we require to have your order one day at least in advance. This black coloured ribbon carries your last farewell and gives your funeral flowers the personal note. We will print your words individually. To do so we require to have your order one day at least in advance. 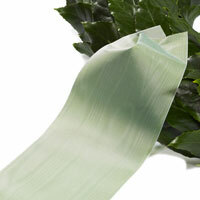 This light green coloured ribbon carries your last farewell and gives your funeral flowers the personal note. We will print your words individually. To do so we require to have your order one day at least in advance. 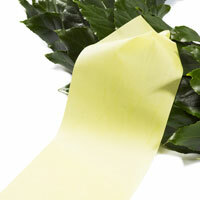 This yellow coloured ribbon carries your last farewell and gives your funeral flowers the personal note. We will print your words individually. To do so we require to have your order one day at least in advance. 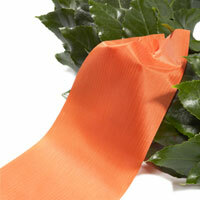 This orange coloured ribbon carries your last farewell and gives your funeral flowers the personal note. We will print your words individually. To do so we require to have your order one day at least in advance. 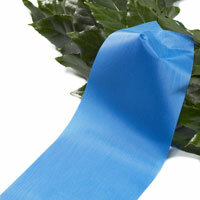 This blue coloured ribbon carries your last farewell and gives your funeral flowers the personal note. We will print your words individually. To do so we require to have your order one day at least in advance. 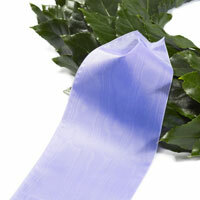 This violett coloured ribbon carries your last farewell and gives your funeral flowers the personal note. We will print your words individually. To do so we require to have your order one day at least in advance.